Today is the launch of my podcast The 21st Century Creative. 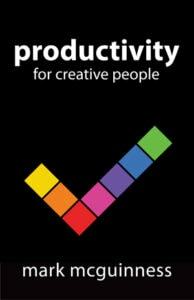 It’s designed to help you thrive as a creative professional amid the demands, distractions and opportunities of the brave new world of the 21st century. We’re living at a time of unprecedented opportunity for enterprising, outward-looking creators. And you’ve probably noticed we don’t have our challenges to seek either – creatively, personally, professionally, politically and environmentally. So I thought it was time for a show that addresses these issues, from your perspective as a creative professional. I’ll be taking the lead and sharing my thoughts on them in a series of short talks in the first part of each episode. In today’s episode I introduce the show, explain what it’s all about and how it will work (the format is a little different to most podcasts). And I have a stellar line-up of guests who have given me in-depth, insightful and inspiring interviews – including writers, designers, entrepreneurs, and experts in leadership, productivity, and personal development. I’m producing the show in seasons of 10 episodes – today is Episode 1 of Season 1 of The 21st Century Creative. Irene Hoffman, who designs all my books, has created a beautiful and distinctive visual identity for the show. And Javier Weyler, musician, composer and producer, has composed original music and soundscapes that give the show a unique atmosphere. He and his team are also responsible for producing the show, and making my job a whole lot easier. I’m delighted that my first guest is Scott Belsky, author of Making Ideas Happen, and founder of Behance and 99U, which have been instrumental in providing a focus, platform and opportunities for the creative community in the 21st century. In today’s show Scott discusses the foundation and purpose of Behance and 99U, the importance of community for creatives, and the role we can play as creators in challenging political and economic times. You can follow Scott’s work at ScottBelsky.com, on Twitter @ScottBelsky and on Medium at Positive Slope. Every week, at the end of the show, I ask my guest to set you a Creative Challenge – something practical you can do that will help you put the ideas from the show into action. 1. Listen to the interview part of the show, either in the player above, or on iTunes or your favourite podcast platform. So that could be a trip you take to a new and challenging place, or something you do, such as learning a new skill or creating something you’ve never attempted before, or interacting with people from a very different culture or background to you. Make it something that will make you uncomfortable AND stretch you in a meaningful direction. 3. Once you’ve completed the challenge, leave a comment below this post telling us what commitment you’re going to make for the year ahead. You have until midnight United States Pacific time on Friday 2nd June 2017 to complete the challenge and leave your comment. 4. Once the challenge has finished, I will pick 3 winners at random from the comments, who will receive the prize Scott has kindly donated of his book Making Ideas Happen. I want to stress I’ll pick the winners at random, I won’t be judging the comments as the challenge is not a competition. 5. Over the weekend I will send a bonus recording with my feedback on your comments and what we can all learn from the challenge. I’ll be looking through the comments for common patterns, whether that’s ways a lot of you get stuck, or great solutions you’re finding to the challenge. I’ll also be sharing reflections and advice from my own experience as a writer and a coach. 6. Important – the feedback recording will NOT be released on iTunes or anywhere else the show is syndicated. It will only be available via the 21st Century Creative mailing list – click here to join the list (and get a free Creative Career course). It would be a huge help to me if you would take a moment to subscribe to The 21st Century Creative in iTunes – that’s because the more people who subscribe, the more visible the show will be in the iTunes store, and the more creators I can help with it. This is particularly important in the first few weeks of a podcast – so if you enjoy the show, and you’d like to support it, taking a moment to click here and subscribe in iTunes will give the podcast the best chance of success. Thank you, enjoy the show, and stay tuned for Episode 2 at the beginning of June! Thanks for the feedback Jack, I’m glad you found the show interesting. I won’t be cutting the length – one of the themes of the show is the importance of resisting ‘busyness’ and carving out time to consider and create the things that matter the most to you. Fantastic! Great content – I learned a tremendous amount. I also got validation on several ideas that I have always held true but have had trouble finding others who feel the same. Taking many, many notes!! Thank you. Great podcast so far! I’ve been searching for one that delves deep, rather than wide and bouncy-bounce user-friendly happy music all the time, as several other self-employed/creative-type podcasts I’ve found do. I am slightly confused by the Challenge – is the one this week just picking the way we’re going to stretch in this year, and then commenting on what that is? Or is it picking something we can do *this week*, and then complete it & report back what it was we did and how it went? Can’t wait for future episodes and seasons! is the one this week just picking the way we’re going to stretch in this year, and then commenting on what that is? Yes that’s it! It may well be something that you can’t accomplish this week, so all we’re looking for to enter the challenge is a commitment to something you’ll do by the end of the year. I’ll always post the Creative Challenge instructions in the blog post as well as telling you in the podcast, so that’s a quick way to check for future challenges. Brilliant, Mark! Many thanks for starting this podcast & for the great first episode. It’s incredibly timely for me. One very uncomfortable thing I’m both very frightened to do but committing to do is: “to put myself out there” and “show up” online. My website has been long unfinished, and I do have a whole content marketing strategy mapped out. But I often get pushed back by my own resistance & mindset blocks. I’m slowly pushing myself through the gust of resistance, but it’s still admittedly quite uncomfortable. I often need to shift my mindset daily. So, by the end of this week, my practical goal is to finish the first website iteration with at least 2 published article posts. Then to link the website to my domain. Baby step, but a very important one for me. Then I can start implementing my content strategy. This challenge comes at the perfect time! The one way I am committed to pushing myself into an uncomfortable place this year is by taking my business to the next level. I am dropping all the other little bits of work which have been fun but distractions (and lucrative!) to concentrate solely on coaching, at a higher level for both myself and clients. I am going on a coaching retreat next week to give me the time and space to work on this. Excellent podcast – for me 60 minutes is great because it gives time to get into the subject and to focus. It is also, for me, means I have to bring a different level of commitment to it – an investment of time in myself and my creative practice. for me 60 minutes is great because it gives time to get into the subject and to focus. It is also, for me, means I have to bring a different level of commitment to it – an investment of time in myself and my creative practice. This is exactly my thinking. (And some episodes will be longer than an hour…) Glad it’s what you’re looking for. Thanks everyone for your feedback and commitments. It’s great to get the show on the road! N.b. To keep this thread manageable I won’t respond to your Creative Challenge commitments individually – I’ll give my feedback in the bonus recording I’ll send out over the weekend. So in this thread I’ll just respond to feedback and questions about the show or how the Creative Challenge works. Excellent show – like the new format for 21st century creative and look forward to listening regularly. For me the the length is just about right to get deeper into an individual’s work without having to give up hours of your time. Nice to read about other peoples challenges too. My challenge to myself relates to a project i am initiating this year, called the grand tour, an exploration of the experience of displaced people in refugee camps around Europe, giving them a voice, and trying to tell their stories from their perspective as they wish to be seen by the wider world. The project will run from June through to December 2017 and there is a Kickstarter campaign which will be live at the beginning of June. The aim is not so much just to comment on the crisis but actively placing myself in a similar situation of dislocation, and disorientation, although the parallel is not an easy one,vsince at the end I sill have a state to return to but many of these people are ‘stateless’. Above all the idea I want to communicate is that, in different circumstances it could be us and in that case wouldn’t we want to know that people would treat us with kindness and humanity. Similar to what Scott talked about in the podcast I am trying to use creativity as way of responding with compassion to a moment in contrast to a trend we are all seeing towards a response of shutting down, and making certain people into scapegoats for society. More details on my website- take a look! Thanks again Mark for a great podcast. Please, Scott, please, get that book written. I’ve been in the middle for a very long time. And here in the middle, every time I start another book, it also has a middle. Middles in middles. I’m starting to hear Sting singing Windmills of Your Mind. Hi Mark! Thanks for the inspiring and longed for podcast. I look forward to listen to it weekly! It’ll be a wonderful start of the week. My commitment is something that I’ve put off for many months now due to fear and that’s attending a jam! One could think that it should be an easy thing for a musician but the thought of being “checked out” and judged scares me. I know this is an important step for me to widen my network where I live. As it is right now, I know more musicians outside Scandinavia… Good luck everyone with the challenges! Warm wishes, Maria. I have two challenges. 2. Indie publish 2 -3 novels and begin backpacking. Over the past 30 years, I have written 6-8 (two being terrible firsts) novels but never fully pursued publishing, traditional or indie. I am revising 3 with the hopes of at least 2 being ready and have 3 short stories. 2. I have committed with payment to two backpacking trips with guides this year. Now I have to train for them (get in better physical shape). This was just the right podcast at just the right time, thank you. I’ve already made my commitment for this year – in two weeks I’m taking 16 not-for-profit leaders on a two day retreat on the shores of Loch Lomond. It’s a challenge because it means not just asking for but *accepting* the goodwill that clients and partners have for my work. Which might sound strange, but it’s about recognising consultancy as mutual partnership, not a one-way service. I’ve learned that a gift that can’t be reciprocated is actually a burden. The better a service is, the more people will want to give something back to it, but do we create and accept opportunities for them to do that? Having recently left my ‘paid’ job in December 2016 I am embarking on self-employment for the first time in my life. Everything I’m doing therefore feels slightly outside my comfort zone at the moment (in a brilliant way!)! I’m going to set myself two challenges. The first will be to learn to ‘enjoy’ and thrive in the uncertainty which self-employment can bring., using creative ways to keep myself on track. Part of my business is coaching – so a specific challenge I want to set myself is to create a fab website and work with 10 new clients by the end of this year (small steps but moving in the right direction). Excited to be part of the start of a promising powerful podcast. My answer to the first challenge is Showing up online so here I am :). An other important commitment I want to stretch this year is taking full responsibility of the business side of my creative practice. I will inform, ask, research, try out, try again the stuff that will increase my income and therefor my power and freedom. Really glad I found this podcast and excited to follow along. I am going to start talking more openly about the spiritual aspects of my artwork. Much of what I create is inspired by my reiki practice and by shamanic journeys. I have worried that being specific about this will put people off, but I now think it may well turn into my USP! Thanks for a great first episode. I’m a visual artist and I’ve been doing a First Thursday Street Fair (in Portland, OR) which has really helped me get organized (inventory, CC payments, pictures, etc. ), although it’s also helped me realize my type of art is not well-suited to street fairs in general (due to the fragile nature of some of my mixed media pieces) and is not well-suited to this street fair specifically (due to the general shape of the crowd). So while I’ve made some good connections and found 2 (maybe 3) true fans (read: buyers), I’ve decided galleries are my next step. My commitment is: starting August 15, to approach (physically or virtually) one gallery every two weeks about showing my stuff. The challenges I see are finding galleries that are a good fit, and cutting through the clutter. The benefits: more exposure, less breaking of my art. Thanks for a great show and can’t wait for the next one! I’m actually not a creative, yet. For me the scariest thing would me actually making something and putting it out for the world to judge. Thanks for your comments everyone, the very first Creative Challenge is now closed! I’ll be sending out my feedback and announcing the winners to the 21st Century Creative mailing list very shortly – if you’d like to get the bonus audio recording you can sign up here.